As the industry evolves, the need for a standard model to perform common IoT backend tasks, such as processing, storage, and firmware updates, is becoming more relevant. In that new model, we are likely to see different IoT solutions work with common backend services, which will guarantee levels of interoperability, portability, and manageability that are almost impossible to achieve with the current generation of IoT solutions. 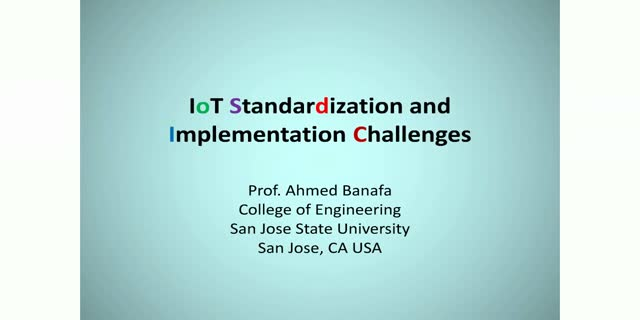 Join Ahmed Banafa, Professor at SJSU and named as the "number one tech voice to follow" on LinkedIn, in this engaging and informative all-about-IoT webinar!